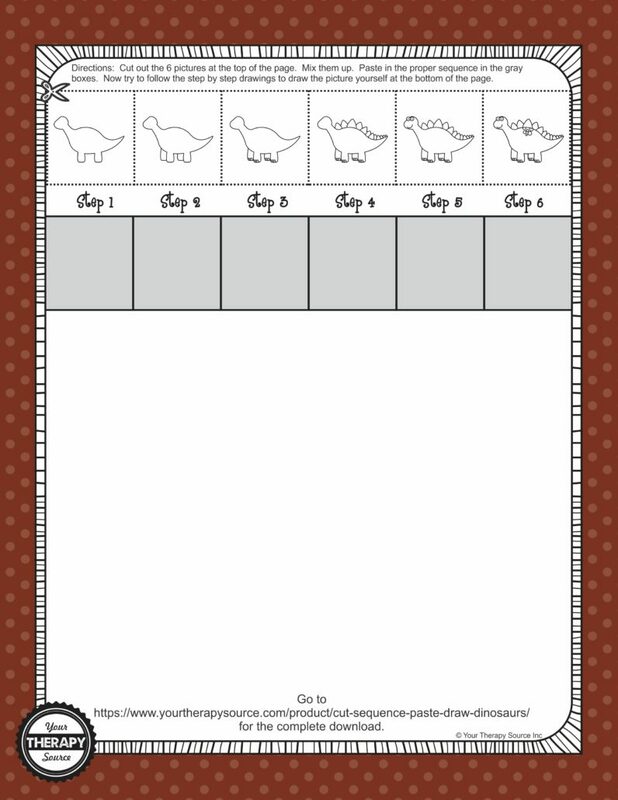 Here is a freebie from the latest packet Cut, Sequence, Paste and Draw Dinosaurs. 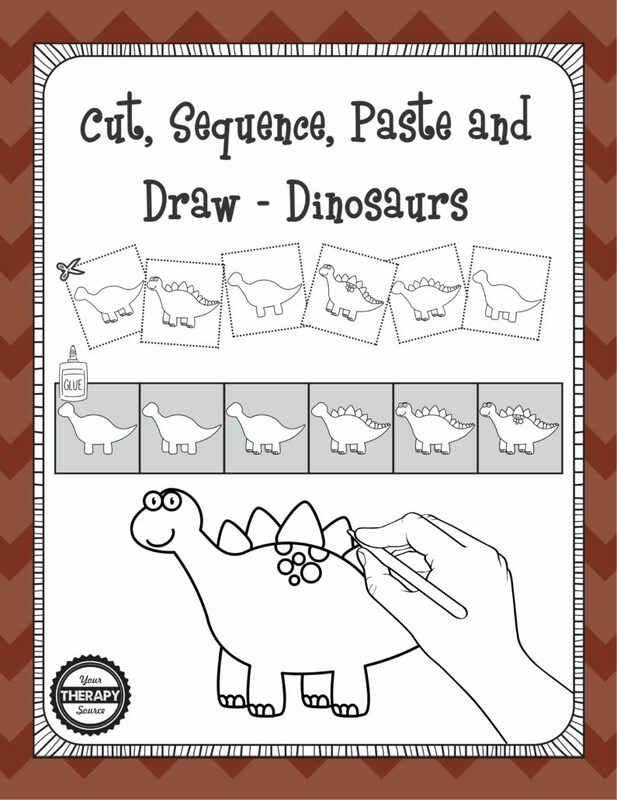 Children can practice scissor skills, sequencing, gluing and drawing this adorable dinosaur. If you have a student that loves dinosaurs this is the packet for them! Download the free sample dinosaur page.